SAN FRANCISCO, Calif. /California Newswire/ — Protector Holdings, LLC, a joint venture of EPIC (Edgewood Partners Insurance Center) and Dowling Capital Partners, announced today that Rick Genest has joined Premier Insurance Services as the company's President. 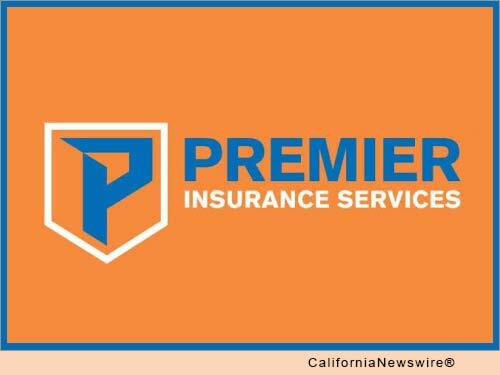 Premier Insurance Services, acquired by Protector Holdings in 2013, targets the growing Hispanic Community in California and the West, providing a wide range of insurance products and services specifically tailored to the cultural preferences of Latino consumers. Genest joins Premier from Freeway Insurance/Confie Seguros, where he served as their Houston, Texas-based President. Prior to Freeway, Rick was AVP of Titan Auto (Nationwide) in nine states. Rick was also President of Eastwood Insurance in California before selling to Titan Auto. "The addition of Rick's leadership strengthens our operations and adds another top professional who understands the needs of the Hispanic community. His experience and knowledge will continue improving and expanding the products and services we provide to the customers of Premier Insurance Services," said Protector Holdings CEO Paul Areida. "At the start, we saw a growing dissatisfaction with the large agencies monopolizing the market and professing to serve the Hispanic Community," said Areida. "We recognized a clear opportunity to align Premier's business model and practices with the traditional, conservative culture and shopping preferences of Hispanic consumers, emphasizing convenience, honesty, service and value. "I am excited about the opportunities we have at Premier Insurance Services," stated Genest. "I believe that our team has tremendous growth opportunities and I am very much looking forward to building a strong team that will generate further positive results." "Our efforts have been well rewarded by a rapidly growing customer base since our founding less than three years ago," Areida continued. "We are excited to add Rick as our President. He is a seasoned professional who shares our beliefs and values and can help to take Premier to the next level for the benefit of our customers, our employees and our other partners and stake holders." Protector Holdings, LLC was founded in June 2013 as a partnership between EPIC (Edgewood Partners Insurance Center), a retail property, casualty and employee benefits insurance broker/consultant; insurance-focused private equity firm Dowling Capital Partners (DCP); and Premier Insurance Services. For more information, visit: http://protectorholdings.com/.